This home has all of the features usually reserved for a home of triple the cost. You will find the most elaborate back yard built for entertaining. 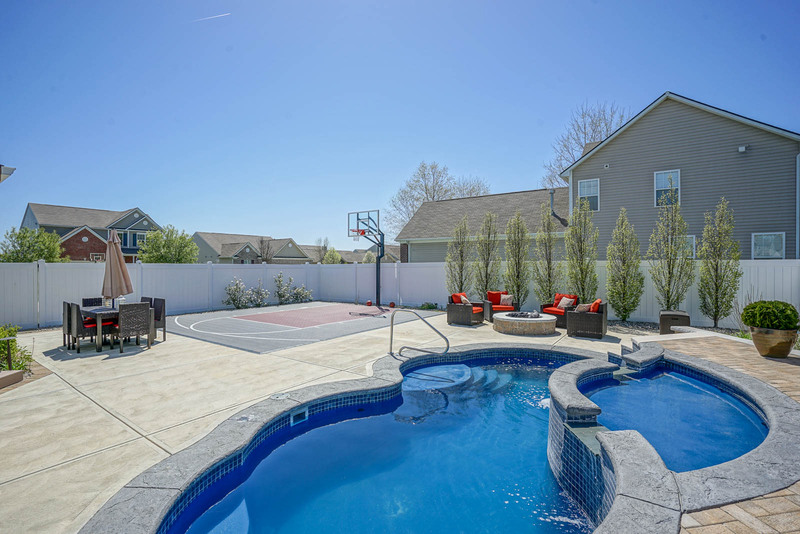 Back yard features include a pool, basketball court, fire pit, hot tub, zero maintenance deck, and a maintenance free fence. The basement includes a large theater, bath and a bedroom. New upgraded flooring throughout the home, a main floor office and loft upstairs make the the deal of the year. All appliances included in the gourmet kitchen. 3 car garage.